Explore the history of Waterloo at the City of Waterloo Museum. Located in Conestoga Mall, the museum shares the stories of Waterloo from its founding in 1806 to today. With over 10,000 historical objects in its collection, the museum changes its exhibitions regularly. The museum’s signature collection is from the former Seagram Museum and Plant. Acquired by the City of Waterloo after the Seagram Museum closed in 1997, the collection features more than 6,000 artifacts that relate to the Seagram family and their role in the early industrial development of Waterloo. It includes an historic and rare bottle collection, and chronicles the wide variety of Seagram products produced in Waterloo. The museum collection also contains a number of local public and fine art pieces, industrial artifacts, and artifacts and archival material related to the municipal history of Waterloo. Donations to the museum’s collection can be made by contacting the City of Waterloo. The Museum alternates exhibits throughout the year between artifacts from its permanent collection and travelling exhibitions which it hosts. Find out about current exhibitions on at the Museum by visiting the city’s website. 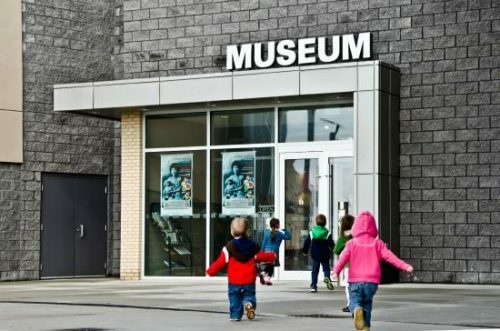 The City of Waterloo Museum serves as a community gathering place where residents and visitors celebrate stories which are unique to the city’s growth and evolution. Hours of operation are Tuesday to Friday 9:30 a.m. to 4 p.m., as well as extended hours every fourth Thursday and Saturday of the month. Entrance to the City of Waterloo is located by the food court entrance of Conestoga Mall. Admission to the museum is free. The City of Waterloo Museum offers community engagement and outreach opportunities, please call or email the museum to book a school program, pop-up museum event or PowerPoint presentation. African Lion Safari, Canada’s Original Safari Adventure, features over 1,000 exotic birds and animals comprised of over 100 different species. The Cambridge Celebration of the Arts is an annual, free exhibition focusing on works of art judged in competitions for various categories.